After a few weeks of solid training you might start to wonder if you’re getting any fitter. You may be seeing off your mate on the club run, or smashing an arch rival up your local climb but none of it matters unless you’re the one who’s made the gains - the opposition might be off form, tired, or simply not bothering to rise to your game. By measuring your fitness and giving it a number, you can track and record changes over weeks, months or even years. Measuring changes in your cycling fitness is also great motivator and seeing increases over time is payback for your hard work and dedication. Completing a fitness test every four to six weeks also helps to highlight your strengths and weaknesses, and gives an idea of your readiness for the ride. For amateur cyclists and those testing at home, the functional threshold power (FTP) test or ‘threshold test’, is a useful and pragmatic way get a snapshot of your fitness at a specific point in time. FTP represents the power you could theoretically maintain for about an hour, which is a good indication of your endurance. Riding at your FTP is not about riding all out, it’s about riding just below your limit - go over that limit and you’ll blow up but stay below it and you should be able to sustain your power for a full 60 minutes. That said, riding hard for an hour takes the kind of dedication and concentration that many of us find hard to come by. An abbreviated 20 minute FTP test is a more practical and far less tortuous way of getting a gauge on your fitness. To measure your FTP you need a bike with a power meter or a stationary bike with an integrated power meter, like a Wattbike Atom, Pro or Trainer. After a good warm up, including 1 or 2 hard efforts of three or four minutes, ride as hard as is sustainable for 20 minutes and record the number. As you get stronger and fitter you should produce more power (measured in watts). 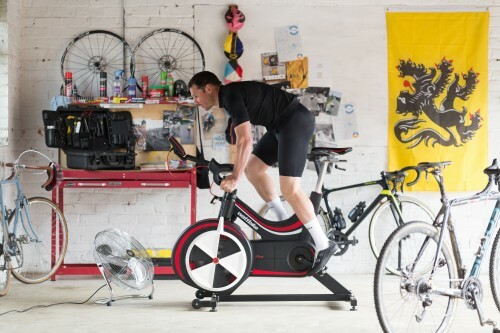 Find out more about Wattbike and their products on their website here. Big thanks to Wattbike for their contribution to the blog, stay tuned every Thursday this month for their upcoming articles on training at altitude, pedalling technique and their top 10 tips to enjoy the Haute Route.